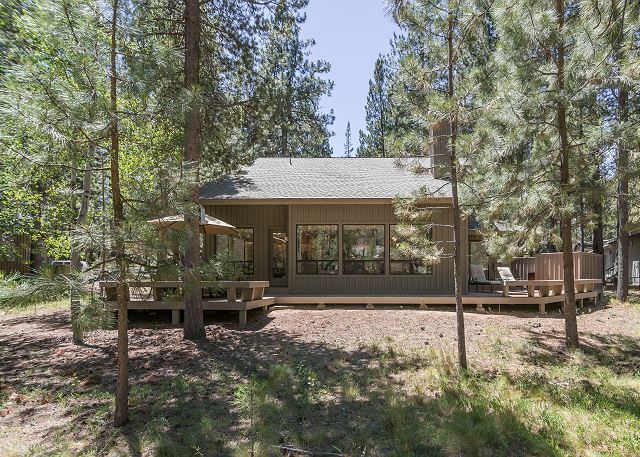 Make the most of your Sunriver vacation by renting this 1,754-square-foot vacation home. 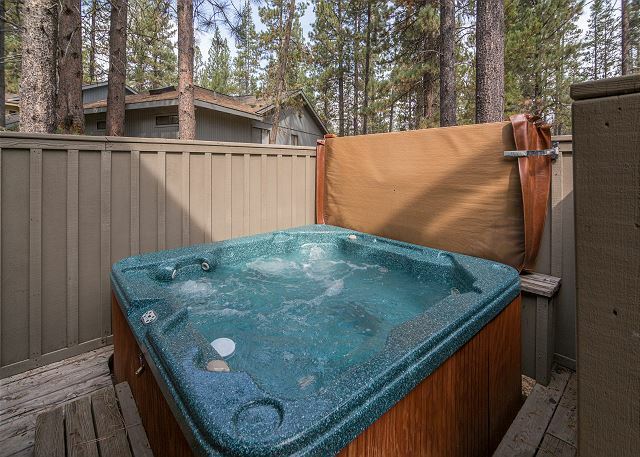 The two-level abode has lots to offer, including a hot tub, gas barbecue, and location near Fort Rock Park. 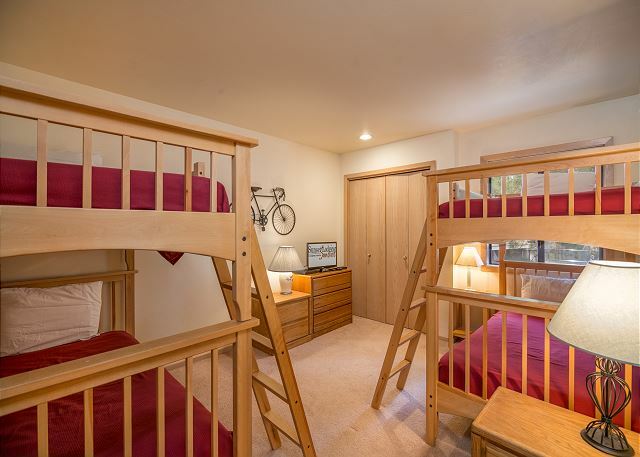 For your sleeping pleasure, there's a king bed, queen bed, and two sets of bunk beds. Watch your favorite shows on one of the four TVs, and enjoy movies with the DVD player. Feeling chilly? Then start a fire in the fireplace. 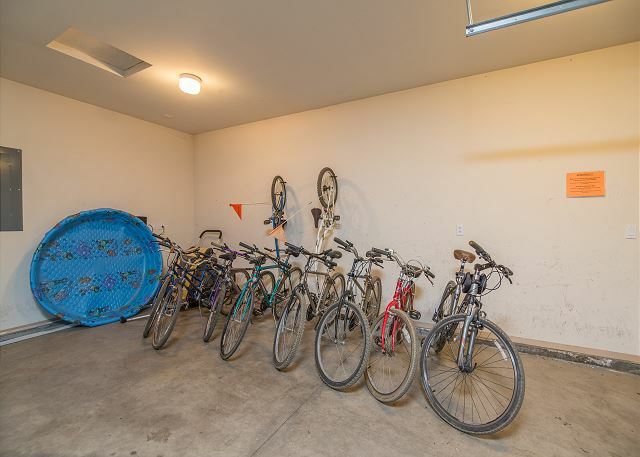 Other features of this home include a washer/dryer, double garage, and bikes. 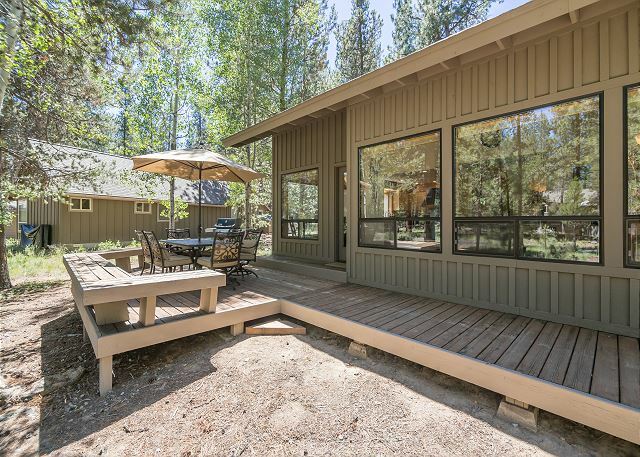 Ensure a fabulous vacation by biking to in the resort's 38 miles of paved bike paths, driving to Paulina Park, and going whitewater rafting. 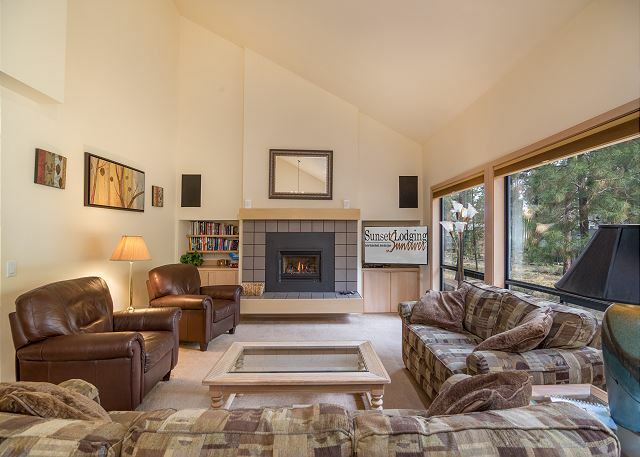 1 King, 1 Queen, 2 Sets of Bunks, 4TVs/3VCRs, DVD player, CD/cass stereo, fireplace, D/W, W/D, microwave, HOT TUB, 2 levels, double garage,8 bikes, gas BBQ, near Ft. Rock park, 4 Star. 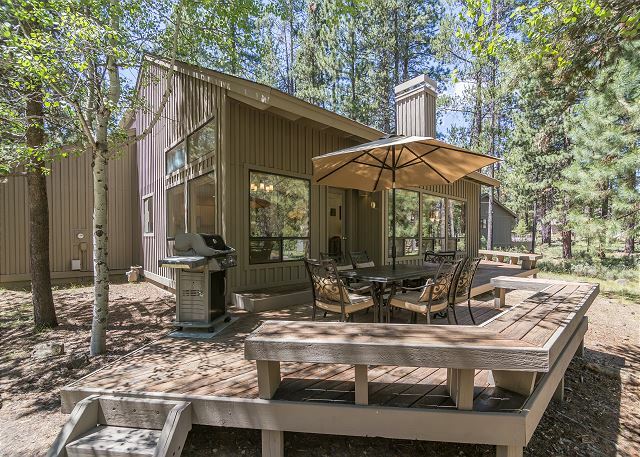 Our stay at Conifer 6 was wonderful. 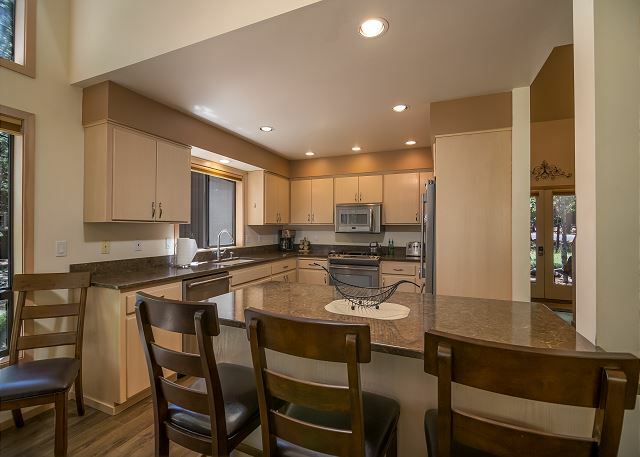 Everything that's important in a vacation rental was there: well equipped kitchen, beautiful floor plan, super clean, etc. My only suggestion is that serious thought be given to replacing mattresses. To the person, each one of us felt that the mattress on our beds were not very comfortable. Certainly not a deal breaker, but something to consider. Thank You for your review, Kelli! We are glad that your experience was excellent. Come back soon! As always we had a great time with the family! It's a lot of fun as the grandkids grow each year to look back on stuff we used to do here and the new stuff we do now. We have booked a new house through Sunset next year and are really looking forward to it. Thank You for the 5 star Review, Steve! It was so nice working with you this year and we are glad to hear that you are coming back for another great vacation with us next year! Glad to hear that you got some relaxation in! We had such a great time in Conifer 6. There were 6 of us (4 kids) and there was room to spare. We were worried about the stairs with our 22 month old, but pleasantly surprised to find baby gates, a high chair and even a pack &playbthat we had forgotten at home. We all lived the hot tub, bikes and large selection of board games. We will be back! Thank You for the 5 star review, Mandy! 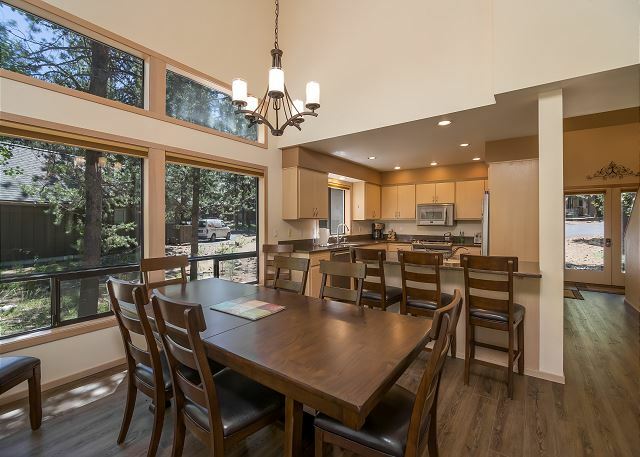 Conifer 6 is a favorite among guests and we are happy to hear that you found it to be awesome as well! See you soon! This was our 9th year staying at Conifer 6 and as always we had a great time! Thanks for the great review Steven! WOW! 9 years is AWESOME! 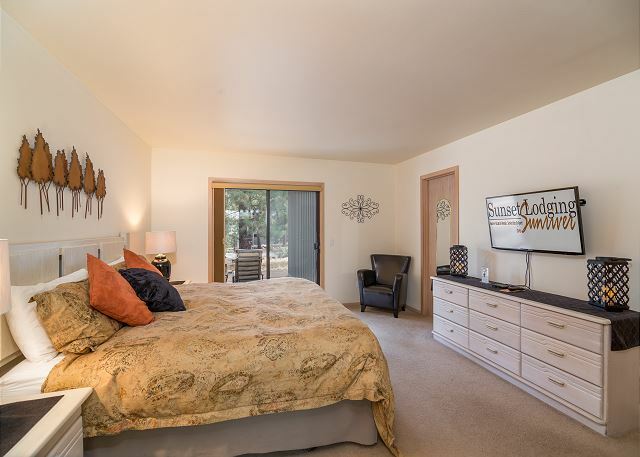 We love Conifer 6 too! WE hope you continue the tradition and come visit us again soon! Once we figured out the address of our rental, everything was super easy. The house was clean and well stocked with kitchen supplies for our family. There was plenty of laundry detergent, paper towel, tissue, and toilet paper for our week long stay. With the large variety of bikes, we had one that fit each personality in our family. The house was perfect for us and made our stay truly enjoyable. Family of 4, plus add'l family joined us. Great spot on bike path and close to park, sharc, and village. Summer stay and it was hot so we asked for extra fans for the house as it doesn't have air conditioning. Kitchen was well stocked. Glad we could keep you cool with some extra fans, Cathy. 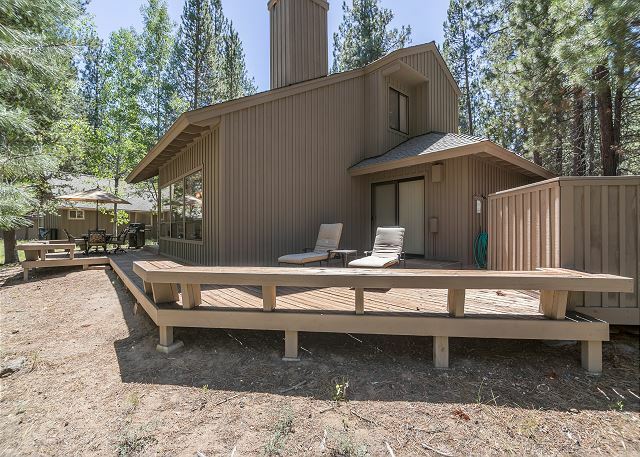 We only need A/C for a few days out of the year, so many owners here in Sunriver have opted not to get it. 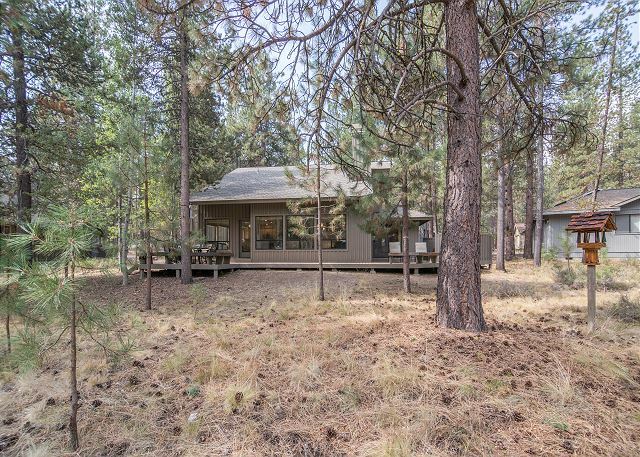 We sure hope you'll get back out to Sunriver soon and thanks so much for taking the time to offer our feedback! We had a great time again in Conifer 6 that's the 7th time we"ve stayed in that house it really works good for us. We are so grateful for your loyal business, Steven! 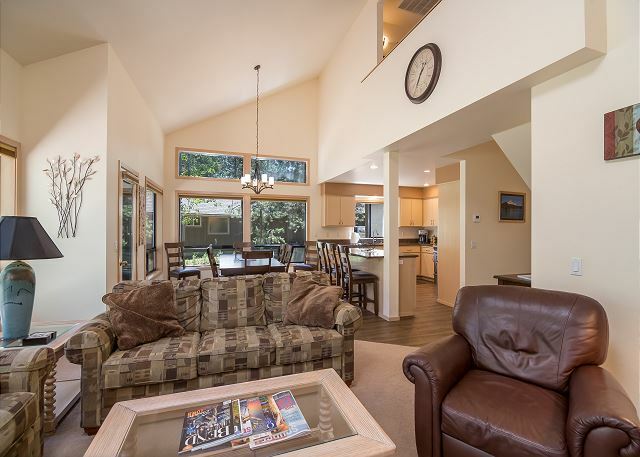 We hope to see you in Sunriver for many years to come! Excellent location. Well-appointed kitchen with everything we needed to make some delicious meals. Hot tub was hot! Plenty of bikes--really wasn't sny need to bring our own. Just great all the way around. We are so glad to hear this Paul. 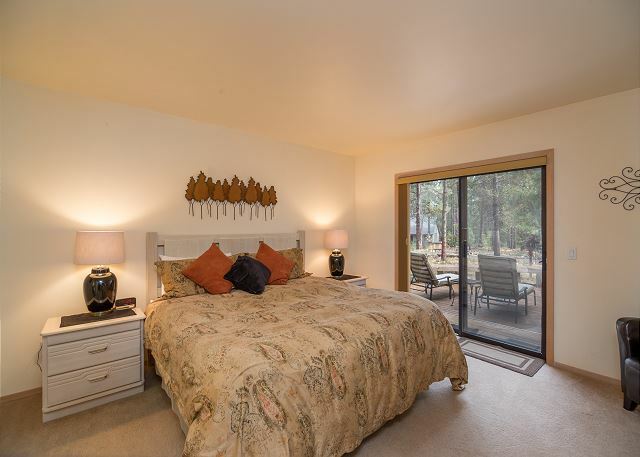 Thanks very kindly for your feedback, and please come back to visit Sunriver soon! Our family really enjoyed our stay at this location! The size was just right and I can't say enough about the SHARC passes, that was a bigger benefit than I thought it would be. 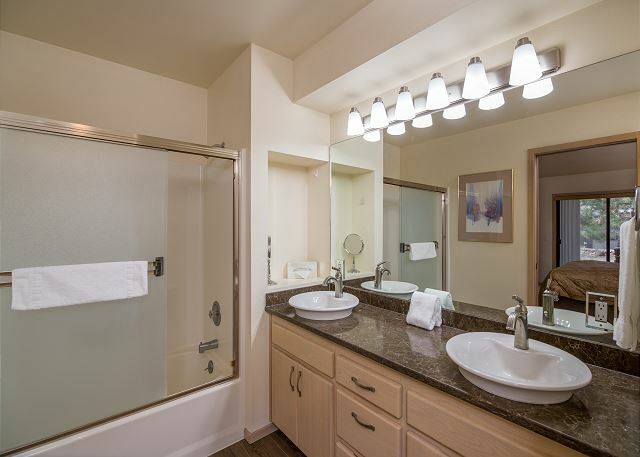 I have to thank the owners for their attention to detail with all the things the home offered. We have 5 kids but there was plenty of bikes and trailers for everyone plus a few extra bikes. Also we have NEVER stayed anywhere with a whole cupboard dedicated to toddler dishware and utensils, Thank you! There were a few minor things that need attention like the front step. I don't think it will last the summer before it collapses. Also there are quite a few nail heads that are popping up all around the deck, but not high enough to hurt anyone yet. I'm not sure if I just missed the email, but in addition to the lock code(s) it would have been nice to get directions emailed before we left, i had to go online and get them from GoggleMaps, but it was easy to find. 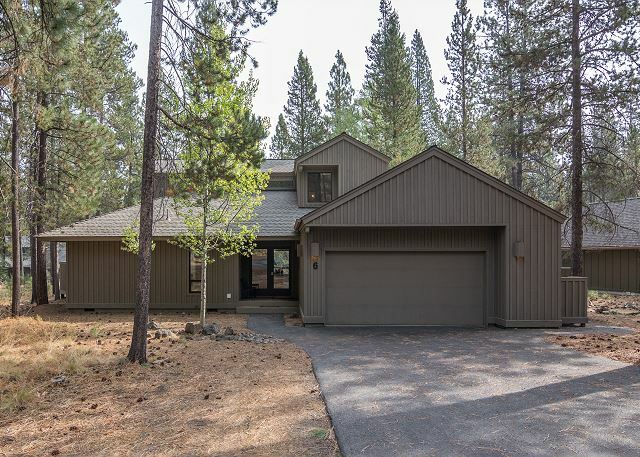 My wife says the only reason we wouldn't recommend this property to a friend is because we want to make sure it is available for ourselves the next time we come to Sunriver! 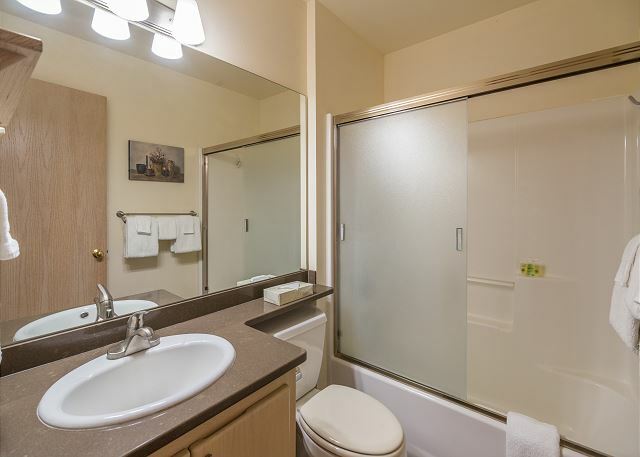 Great house in a great location, walking distance to the park. The kitchen was well stocked. 6 people and we didn't feel squished at all. The bikes were nice, something for everyone. My only complaint is the beds, all mattresses including the bunk beds were rock hard. No one got a good night sleep in those beds. Loved having Sharc passes, definitely a must with kids. The only thing that would have made this the perfect house for our family is being able to bring our furry child. All in all great house minus the beds. 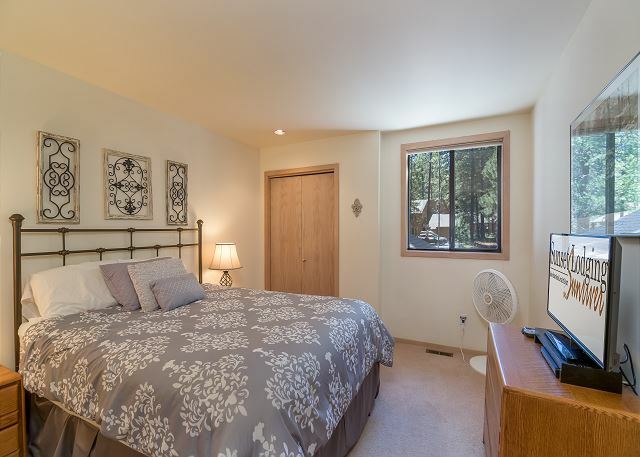 Layout provided master on the main for Grandparents and our son's Family on floor 2 with 2 grandkids in the bunk room. Large great room was very comfortable. I was concerned about the lack of AC but Luckily the cool night temperatures negated the need. Still there was a lot of opening and closing the windows to keep the house cool. Location was perfect: few hundred yards from Fort Rock play area and 1.5 mile on bikes traill to the Vilage .8 SHARC passes, 8 bikes with pull trailer and 2 peddle trailers were perfect for the kids and adults. 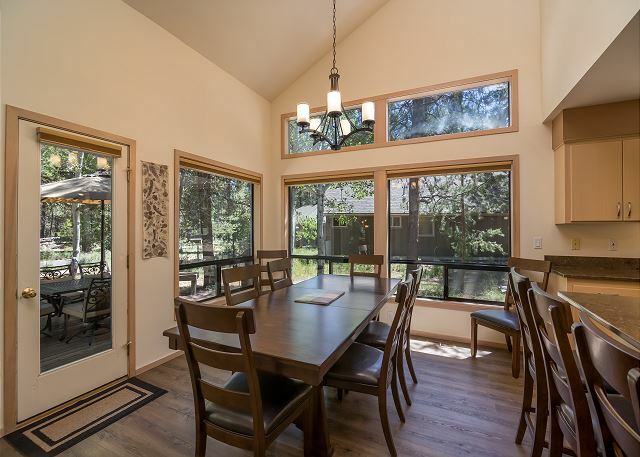 We always feel a tremendous sense of achievement when we have a good family experience in our homes and we are certainly glad to hear that you had one at Conifer 6! 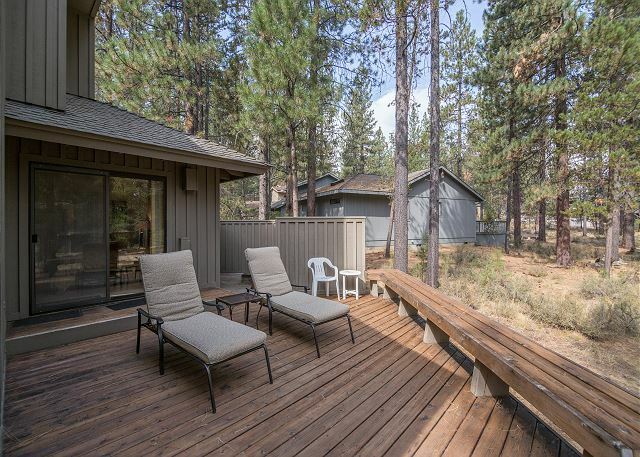 Hurry back to Sunriver, we'll keep the place sunny and beautiful for you! We had a great time as always this was our 9th year in a row staying in SR and our 6th straight year in Conifer 6. We are so glad to hear you had another great year! See you next year! 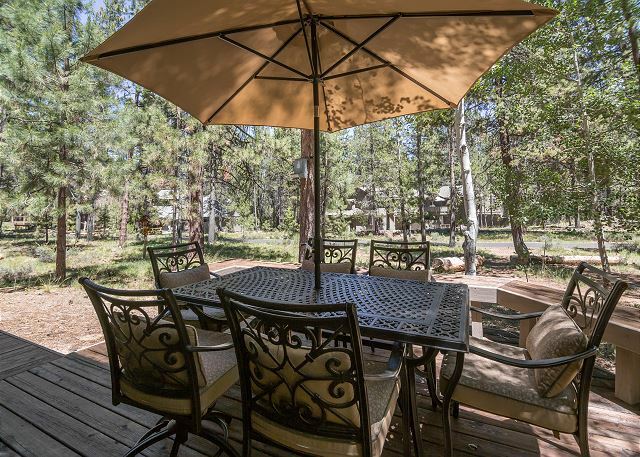 Our stay at conifer 6 was very relaxing and full of adventure. 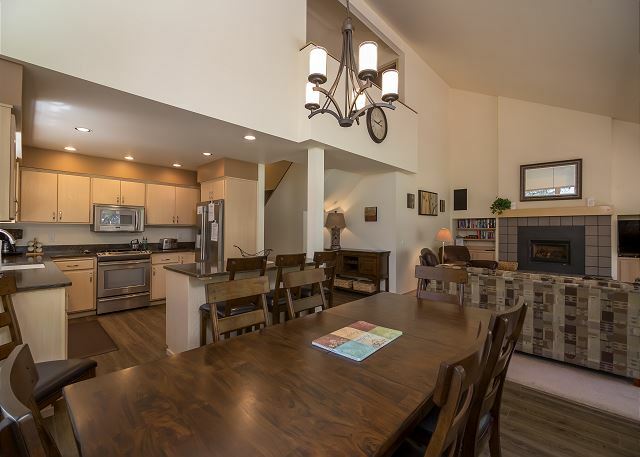 The house is centrally located to Fort Rock Park, SHARC and Mavericks. The passes to SHARC and Mavericks were a pleasant added bonus and we will definitely stay again.